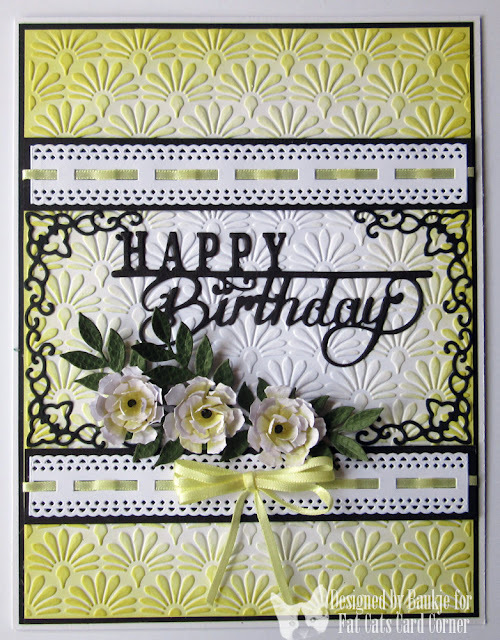 Although I haven't been posting very much, there have been quite a few cards made and below are two that I designed for Kaaren at Fat Cats Card Corner. As usual the dies and products I used will be listed below the pictures of the cards. 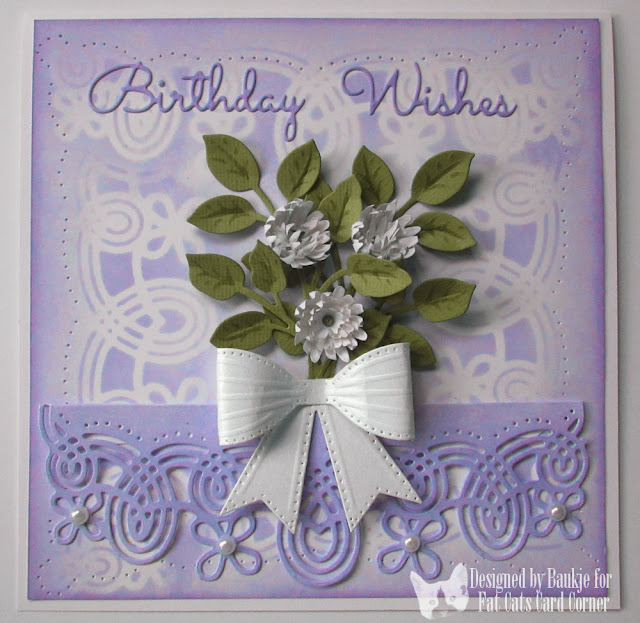 I started by cutting a Georgia die cut out and using it as a stencil and sponging shaded lilac distress ink around the edges of the background, then added that same stencil piece to the background and added a SW Bow and SW Orange Blossom leaves and flowers from the Cheery Lynn Chrysanthemum.